Are Flavored Water Drops Actually As Healthy As They Claim? Many people get tired of drinking plain water. A whole market has risen up to address their specific need to make the elixir of life more interesting: water enhancers. These tiny squeeze bottles contain concentrated flavor that can be added to water a few droplets at a time, adding both sweetness and bright new colors. Anything to put distance between the consumer and that bland liquid from the faucet. 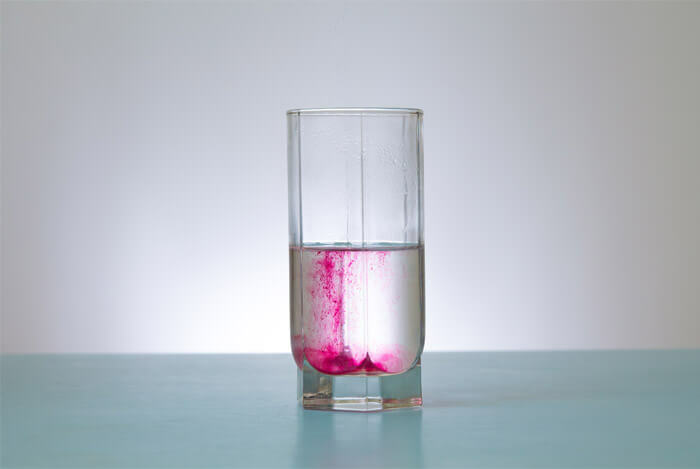 Getting people to drink more H20 (even if it’s cleverly disguised) should be a good thing – but do the positive health claims made by the companies that produce these water enhancers hold water? Does drinking enhanced water defeat the purpose of drinking water to begin with? How Are Flavored Water Drops Used? How Much Should Be Used? Since they first appeared on the market a few years ago, these flavor drops have become seriously popular. They’ve truly changed the beverage industry, with one brand bringing in $100 million in their first year. You can now easily find a wide selection of brands owned by beverage industry giants hoping to profit off of the growing trend. 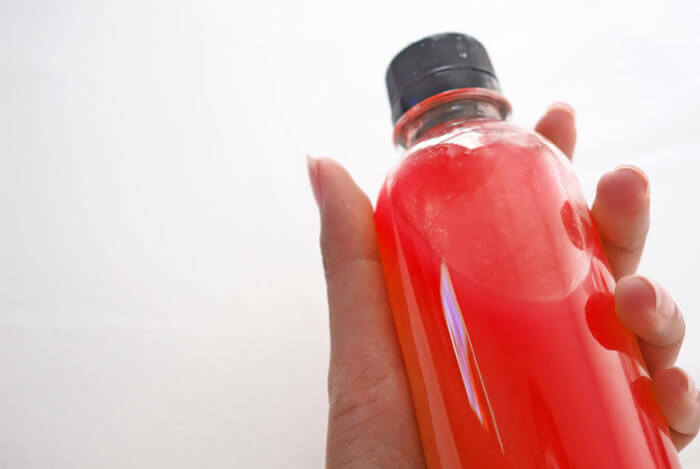 Mostly, water enhancers are used by people who would rather drink water than a carbonated beverage or juice product, but still want some flavor. You might keep one of the little bottles tucked away in a drawer in your office, in the glove compartment of your car, or in your kitchen cabinet. But making these a part of your regular routine as a sort of substitute for regular water is in question. Parents, athletes, and anyone else who buys these products are susceptible to believing the claims that they are perfectly healthy. 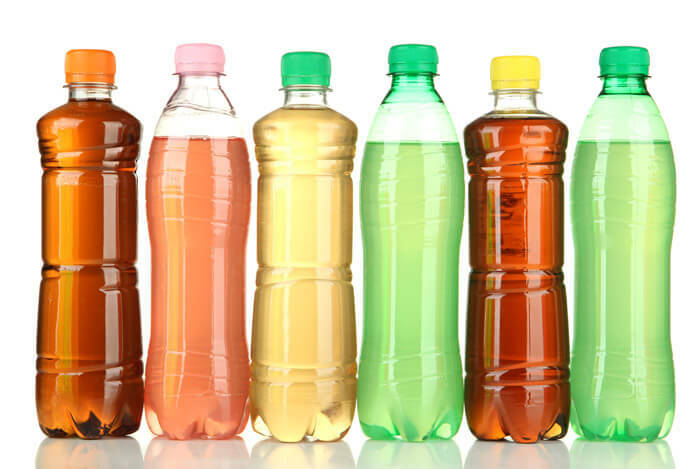 Because many of these water enhancers are marketed as healthy alternatives to energy drinks, people are using them in place of coffee or other beverages like energy drinks. And since they’re 98% water, they’re allegedly better for you in the long run. But wait – what else is going on inside of those little bottles? The bold claims and short nutrition labels on these little bottles can be pretty convincing to people trying to find that added flavor kick for their water. MiO Liquid Water Enhancer proudly displays a complete absence of calories, sugar, and carbohydrates. Zero grams across the board. So, if you’re trying not to drink your calories, these flavor droplets sound like a good option. But, aside from water, a few other ingredients are included. You’ll also find artificial colors and some B vitamins at around 10% of your daily value of each. It’s the B vitamins that get the most attention in the health claims made by the producers. While there is still some reason to question the safety of all artificial sweeteners, most of these ingredients are generally considered safe. The real issue here is in portion control. 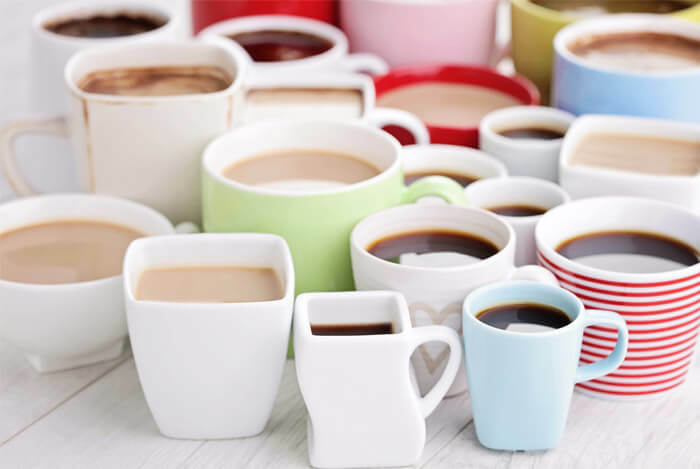 While most research still shows that artificial sweeteners are either better than or no worse for the body than sugar, the fact that the user determines how much they consume is more alarming. Already, there are dozens of videos posted to YouTube where people – typically teenagers and younger children – are drinking entire bottles, pouring them into small shot glasses and downing them in one swallow. The serving size for MiO Liquid Water Enhancer is half a teaspoon. That’s the equivalent of a single six ounce cup of coffee. Downing the whole bottle, as is featured in these videos, is the same as drinking 18 cups of coffee. The fact that people are not educated about the potential danger of doing this is worrisome, yes. However, these are extreme cases. And there are countless products on the market that when consumed in orders of magnitude greater than recommended serving size can pose serious health risks. If you’re going to use water enhancers, follow the guidelines for serving sizes and how many times a day you should use them. The same concept should also apply to just about every other food or beverage you consume in your daily life. The truth is, there’s hardly any evidence at all to suggest water enhancers do anything other than add flavor. Unless you’re consuming them in huge amounts, you’re unlikely to get any dangerous doses of chemicals inside them – an obvious fact that applies to a huge range of substances we consume every day. The health benefits really haven’t been proven either, other than through keeping you hydrated and helping you avoid far worse sugary beverages. As mentioned earlier, the B vitamins found in these drinks are most often put forward as the reason why they could be considered healthy. But, while B vitamins are required by the body to process food and turn it into energy, increasing the amount of B vitamins you get on a daily basis is not a way to magically boost your metabolism. In fact, most people get all the B vitamins they need in their diet. Any excess is excreted by the body. Ideally, you should learn to enjoy unflavored, all-natural H20 as your drink of choice. It’s a good habit to develop. There are also a few alternatives to water altogether that will still be more healthful than drinking a soda. 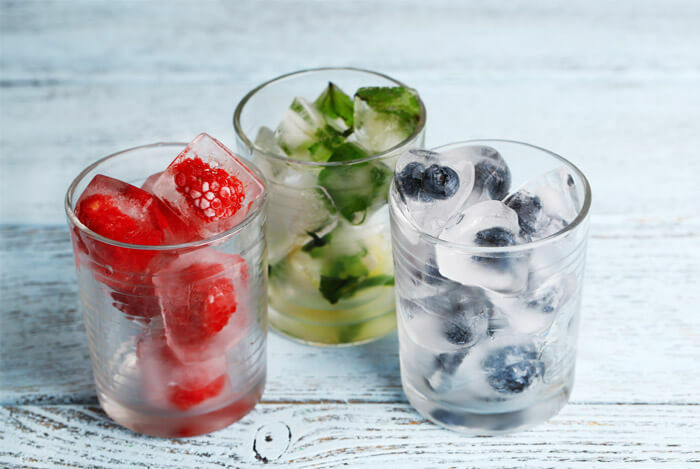 You can even get crafty and make flavored ice cubes out of pureed fruit, fruit juice, or coffee and add those to your regular glass of water. If you want to add a little flavor to your water, be my guest. From all the research available, it doesn’t seem like you’ll be doing yourself any real harm. At least you’ll stay hydrated! When study after study shows that the ingredients in something are perfectly fine for human consumption, I’m inclined to side with the science, not the emotional reaction a lot of people experience when they see those strange names listed in the ingredients. And it’s true, there have been times where foods and beverages have been recalled because they had unsafe substances inside of them. That’s because the agencies and scientists meant to ensure the public stays in decent health (apart from what they choose to do to themselves) are doing their jobs. What I’d mostly like to convey about these water enhancers is that you don’t need them. Water is fine on its own. Drink more of it! 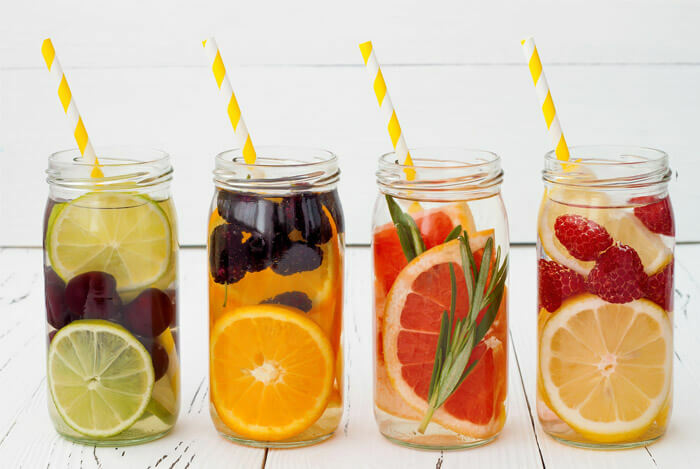 What’s your take on flavored water enhancers? Have anything else you’d like to share? Let me know in the comments below!